The Mount Polley disaster took place in August 2014, when the dam holding toxic waste from the copper and gold mine collapsed, creating the largest environmental disaster in Canada’s mining history. In November of the following year, the largest mine disaster in Latin American history took place in Mariana, Brazil, when an even larger reservoir of waste collapsed at the Samarco iron mine. 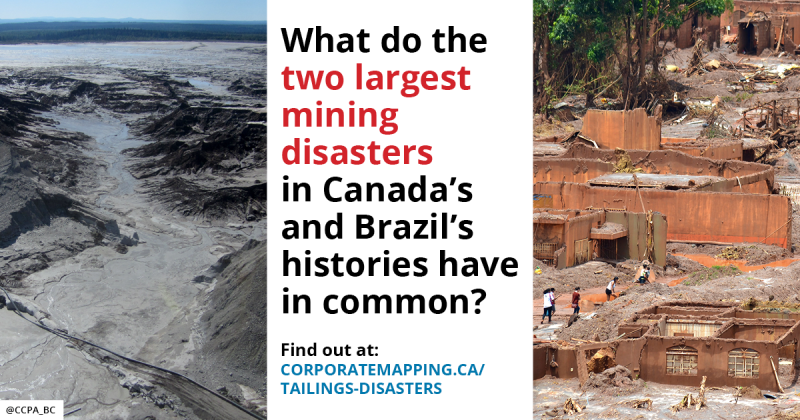 Tailings dam spills at Mount Polley and Mariana: Chronicles of disasters foretold looks at numerous similarities in the circumstances leading up to and following the disasters—and argues they point to troubling systemic problems in the global mining industry.